In the past, parents gave their children heavy chains with combination locks or giant padlocks to wrap around bicycle wheels to deter would-be thieves from making off with their trusted steeds. But thieves are an industrial lot, not to mention that oversized theft prevention devices that weigh as much as a python are a terrible solution for cycling commuters who have to lug the thing to work and back every day. Moving away from locks, Israel’s HUHA team devised a completely different solution that is only slightly larger than a plastic coca cola cap. 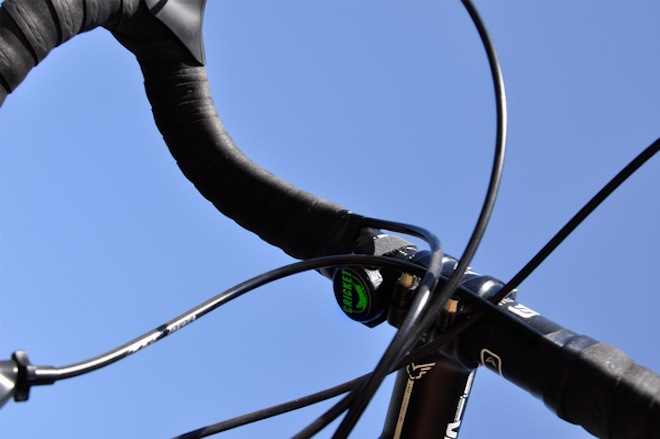 The Cricket is a silent alarm that uses bluetooth technology to alert smart phone users when anyone so much as touches their bicycle. While this can be problematic if someone touches the bicycle accidentally, the alarm has a limited range that encourages users to stay within 150 feet of their bikes. 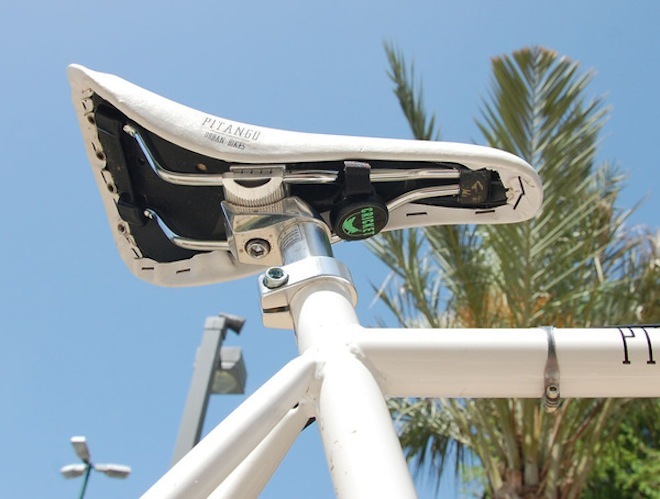 Compatible with various generations of iPhones, the iPad mini and the 5th generation iPod and weatherproof, the alarm can be mounted underneath the bicycle seat, strapped down with a zip tie, or incorporated into a U-Lock. An energy-saving algorithm embedded in the technology ensures the battery will last at least a year, though it will probably last longer. Product designer Yariv Bash and the rest of the HUHA team are crowd sourcing funds to manufacturer a whole pile of Crickets. They have already secured more than 20 percent of their goal and were recently featured in the newsletter. 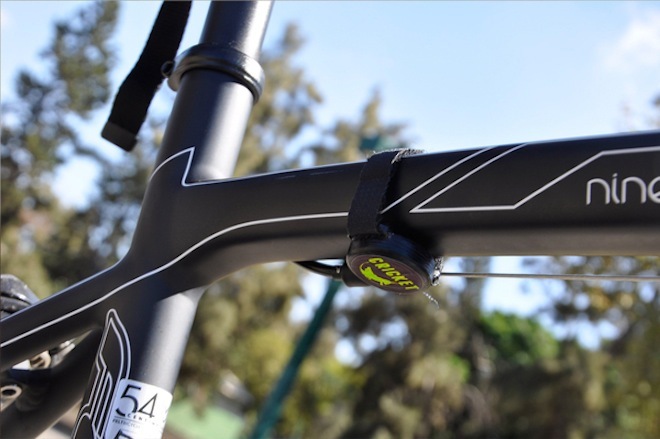 Check out their Indiegogo campaign if you’re interested to support this innovative, lightweight, and low-tech deterrent to bicycle theft. 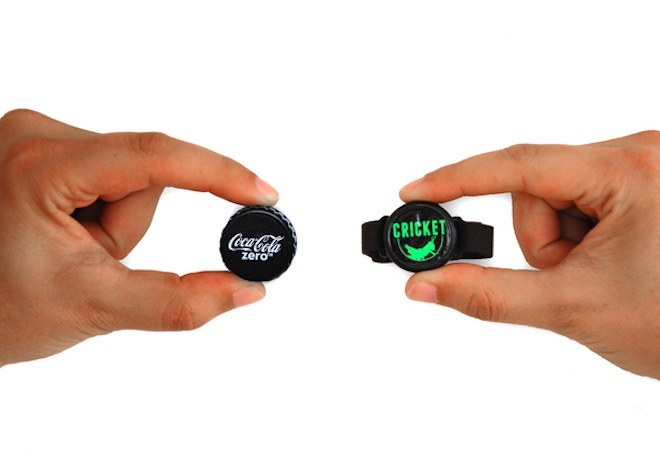 Where can I purchase the cricket bike alarm?